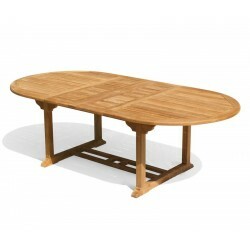 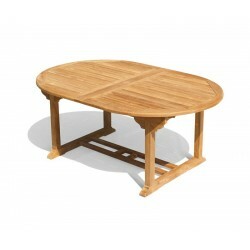 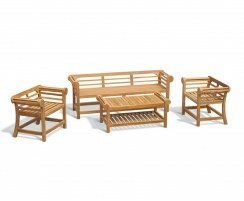 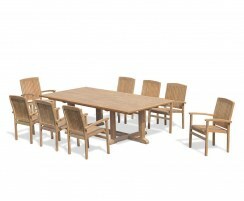 This teak garden extendable table and eight reclining chairs set is handcrafted to the highest spec without compromise for longevity and aesthetic appeal. Seating up to eight people, there’s always room for unexpected guests and impromptu get-togethers with family and friends. 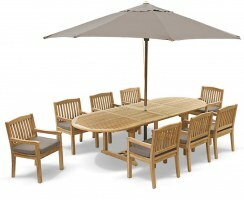 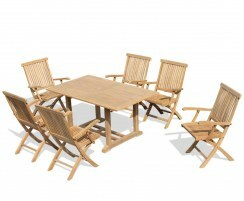 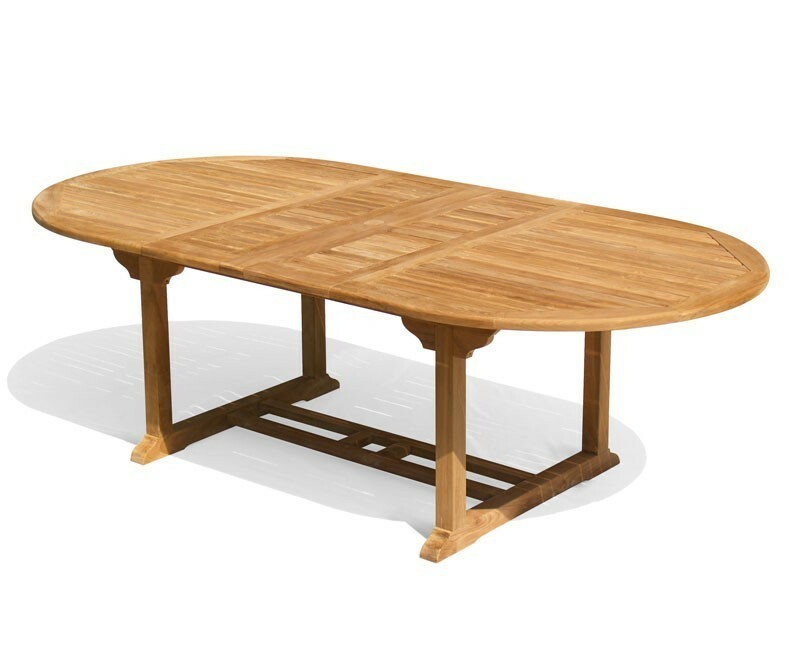 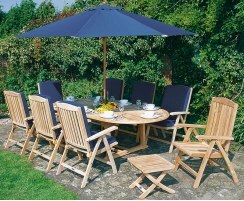 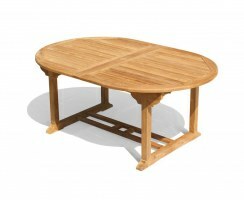 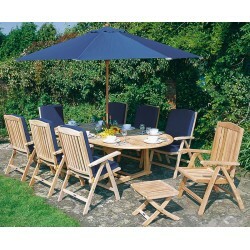 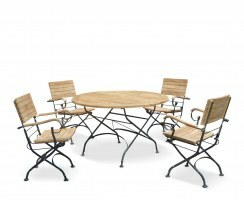 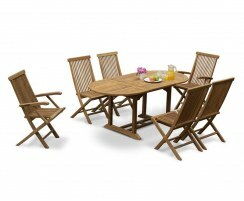 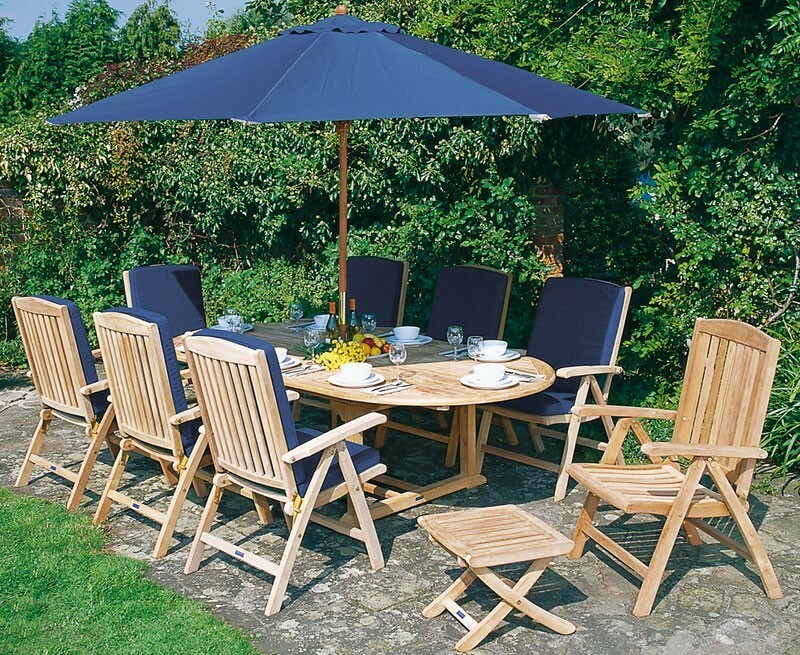 Expertly manufactured from hardwearing, sustainably sourced grade-A teak, this extending eight seat dining set can remain outdoors all year round in all weather, requiring only occasional cleaning. 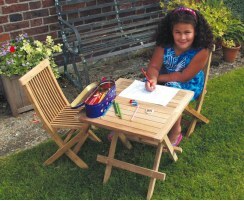 The Brompton table extends via the double butterfly leaf extension which can simply be stowed under the tabletop when not required. The eight Cheltenham reclining armchairs can be folded for storage, and with a multi-positional backrest and wide armrests, they’re very comfortable no matter how long the entertaining. 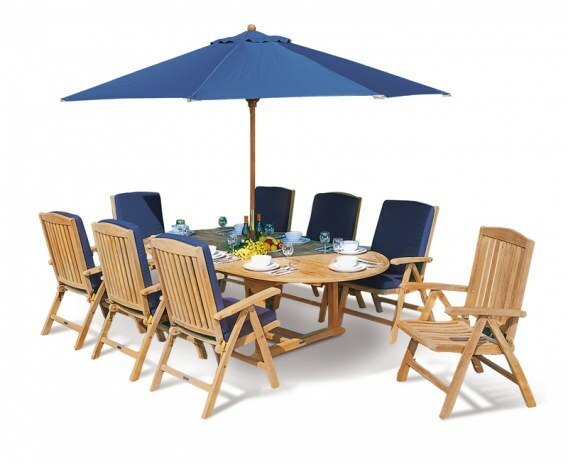 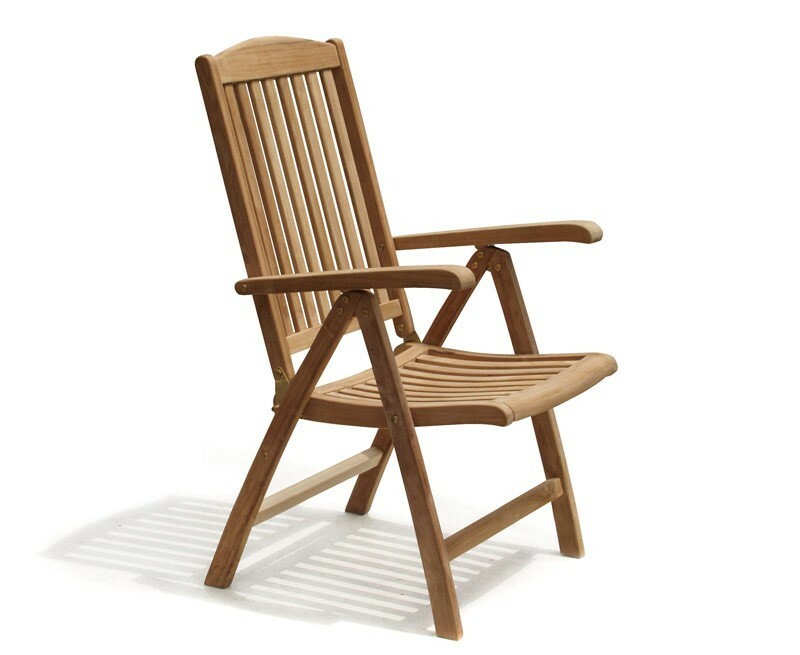 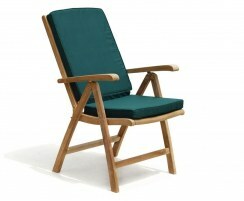 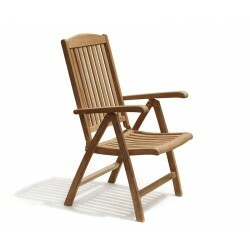 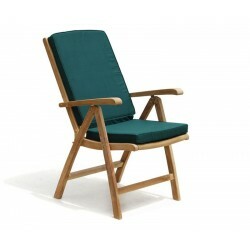 This extendable garden furniture set with folding armchairs will be delivered pre-assembled for your immediate enjoyment. 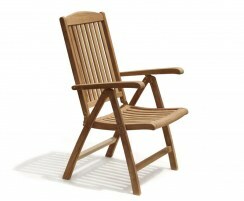 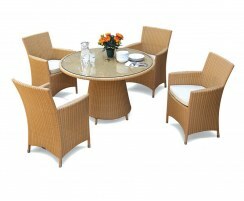 Why not complete the look with the addition of cushions and a parasol and base (not included, available separately).